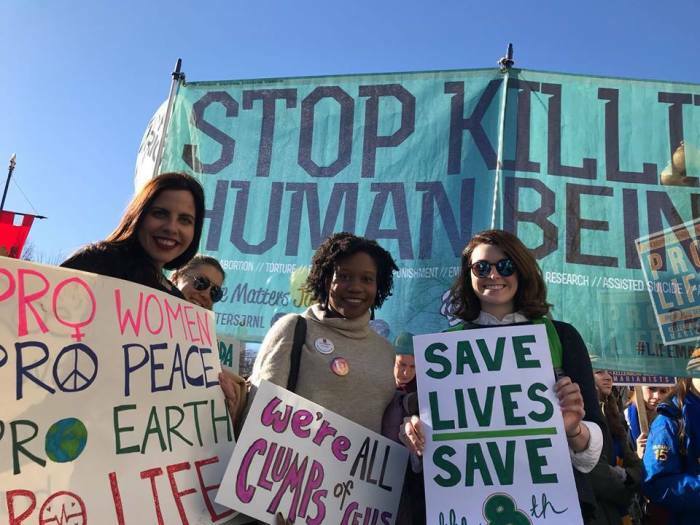 NEW YORK — Pro-life activists are calling for a repentance a week after the New York state Legislature passed a bill making it legal for abortionists and other health care professionals to perform abortions up to birth for any reason that might threaten a woman’s mental or physical health. “On February 23, there’s going to be a national day of mourning. What will happen on that day is nationwide we are encouraging people to do what we did here. Shut your business down, don’t collect sales tax that day, wear black, repent for our own apathy on this issue of abortion overall,” Jon Speed, owner of the Jon Speed: The Book Scout in Syracuse told The Christian Post Friday. Speed, who calls the RHA “revolting,” is also pastor of Christ Is King Baptist Church. He has been in mourning since Jan. 22 and drew the attention of pro-life supporters when he shut down his business in protest on Jan. 23. “The book store is closed today. It is a day of mourning in New York. In honor of the thousands of babies that will die in the years to come, we shall not be collecting sales tax for this tyrannical government today. We will on other days, under duress, but not today,” Speed declared in a viral tweet. Speed’s protest has since launched a campaign called the Day of Mourning, supported by high profile pro-life figures such as David and Jason Benham. “The state of New York just voted to expand abortion access right up to the birth of the baby! To celebrate this unbelievable depravity they lit the One World Trade Center in pink! Women used to celebrate motherhood and find joy in their children. Today, in places like New York City, they are taking joy in destroying their children. N.Y. State has crossed a line of inhumanity that should drive us to our knees,” a summary on the campaign’s website said. “Forty-six years of the state sanctioned killing of our most helpless and defenseless children should cause us to weep, to mourn, and to take action. What is to be thought of a society that kills her own children? What will the future be of such a heartless society that celebrates such barbaric inhumanity?” the campaign asked. Along with encouraging pro-life business owners to wear black, repent for abortion and closing down their businesses in protest, the group is also asking pro-lifers to refrain from shopping. The Day of Mourning will culminate in with a rally at the Empire State Plaza Convention Center in Albany, New York, from 1 p.m. – 3 p.m. on Feb. 23. Speed, who will be speaking at the event, said the organizers of the rally are looking to make a difference beyond the appearance of a pep rally. “The focus is New York state, we want the citizens of New York to express their displeasure with this thing and do more than just say, go to a March for Life rally or do more than give $5 to a pro-life lobbyist, but actually be involved in something that’s not just a pep rally. The pastor said that there's also talk among organizers to maybe make the Day of Mourning an event on the 23rd of each month. Speed argued that Christians need to start looking to Scripture to change people’s hearts on the issue of abortion instead of trying to force people to protect life through legislation. Since he shut down his store in protest, Speed said he has received many heartbreaking messages from women who regretted having abortions. Sister Magdalene Teresa of the Sisters of Life, a Catholic order in the Bronx dedicated to “enhance the sacredness of human life,” also told CP this week that she felt “sorrow” after the passage of the RHA on Jan. 22. “Very much sorrow,” she said. “We know that it’s been, it seems like 10 years they’ve been trying [to get it passed] and every time we would just pray and pray and pray and pray. And we had a lot of victories but of course on Tuesday (Jan. 22nd) it didn’t go the way we hoped,” she said. “My instant reaction is for all the women I know pretty well who are so tempted, for whatever reason. It can be big and it can be not so big. The pregnancy, let’s just say she heroically is choosing life but then a new circumstance comes like a death in the family. Or extra violent pressure from the father of the baby and he loses his temper, but she happens to be further along like six months, seven months. “Now that woman won’t have the extra protection that she had before. So I just instantly thought of all the babies that would have been born which I have photos of. So it’s just really sad about that,” she said. Teresa, who agrees that the scope of how the law can be applied based on how it is written is very broad, said as her order continues to fight to help women continue to choose life, they will now have to make room for women going through a longer period of crisis.